What does a poorly sad and upset blogger to cheer herself up after a bad day in work, after breaking her mobile, wasting all the contact, pictures, videos inside the memory card? And what is the best place to shop without braking the savings? 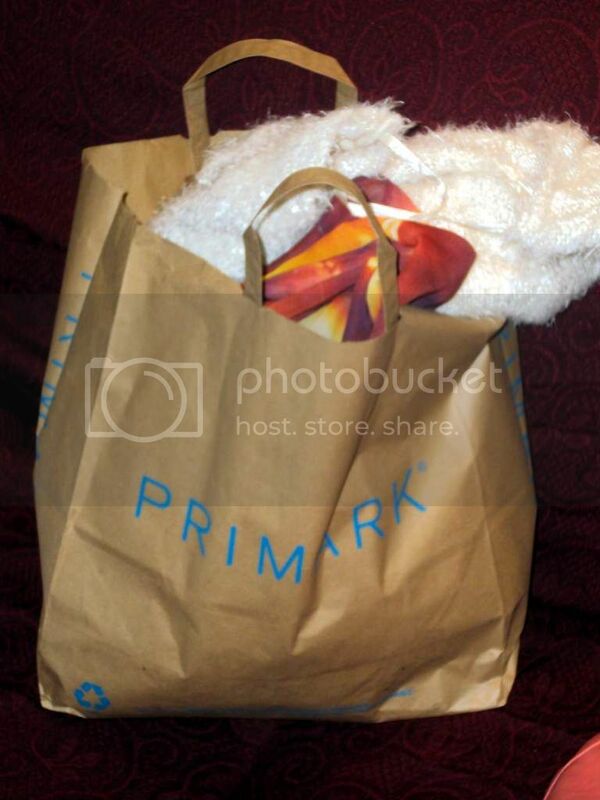 Yes, of course I went to Primark! After spotting the new Limited Edition collection in Look Magazine I was very curious about it and friday, after an horrible day, I decide to go and have a look: after an hour I was happier and proud with my haul. 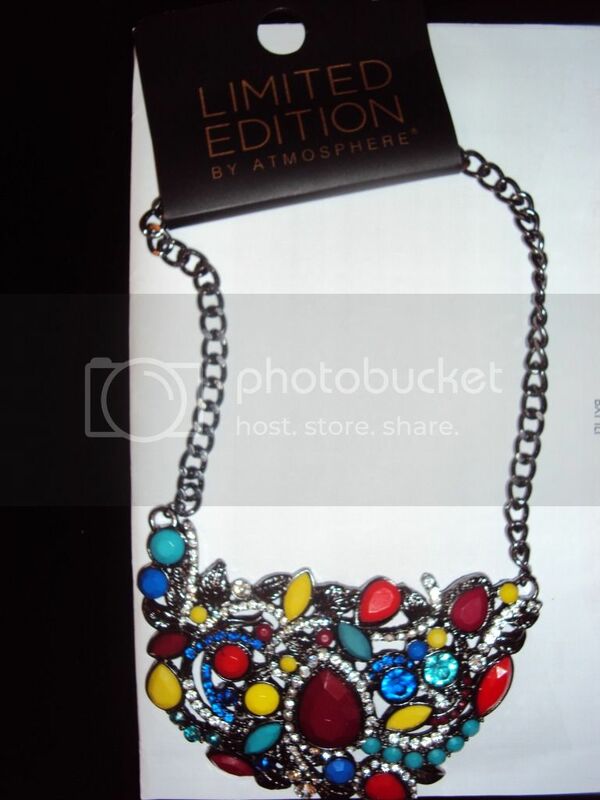 The first thing to catch my attention was this beautiful statement necklace. 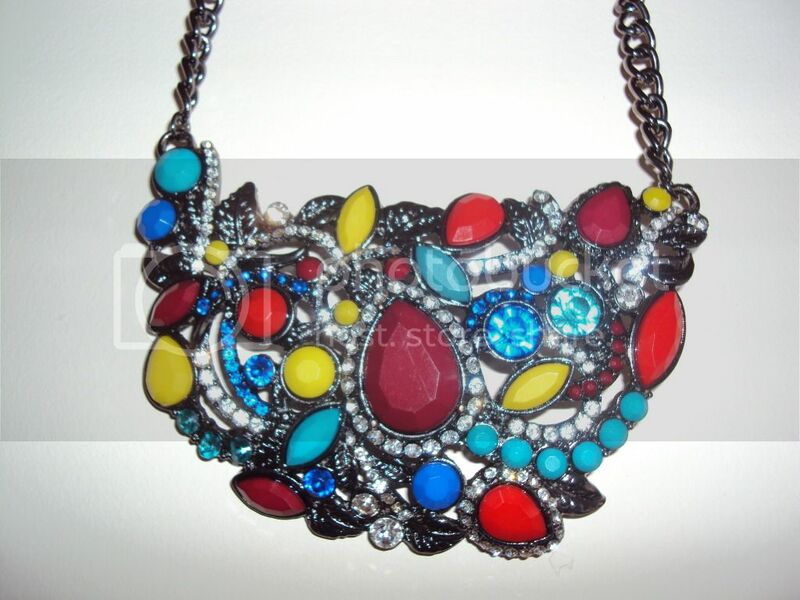 It’s a dark silver colour with coloured plastic gems and crystals. 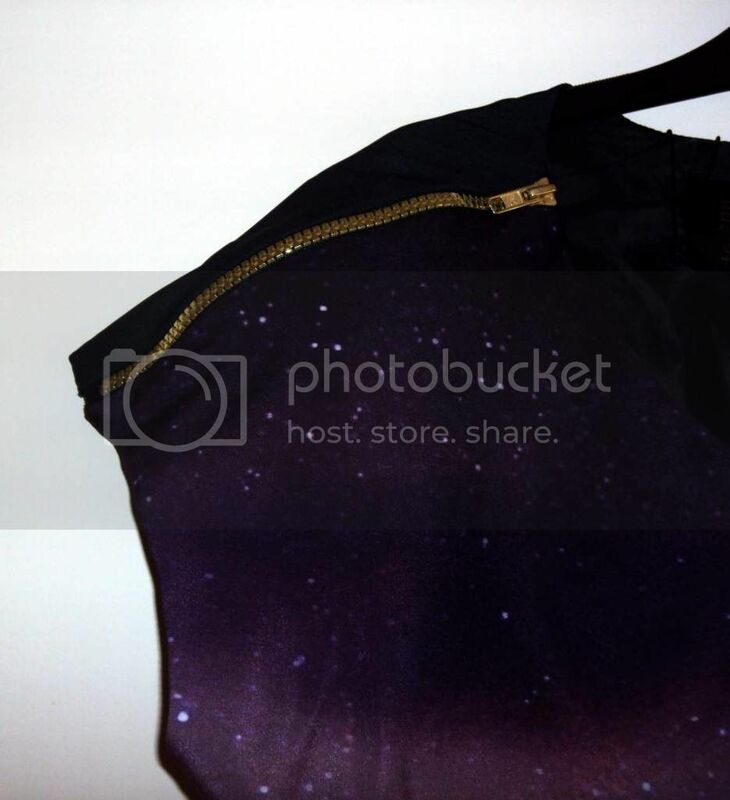 I am thinking about wearing it with black jumpers, denim or pastel shirts, it can go easily with everything. 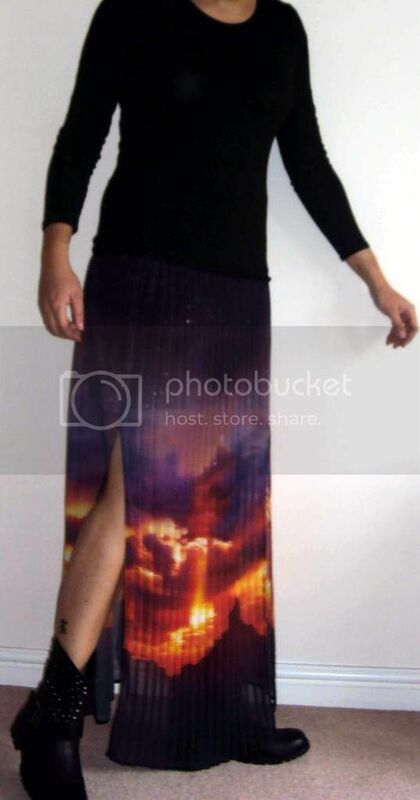 Once in the clothes section, I was so happy to bag this printed skirt and dress, which were basically the first reason I was in the shop.. 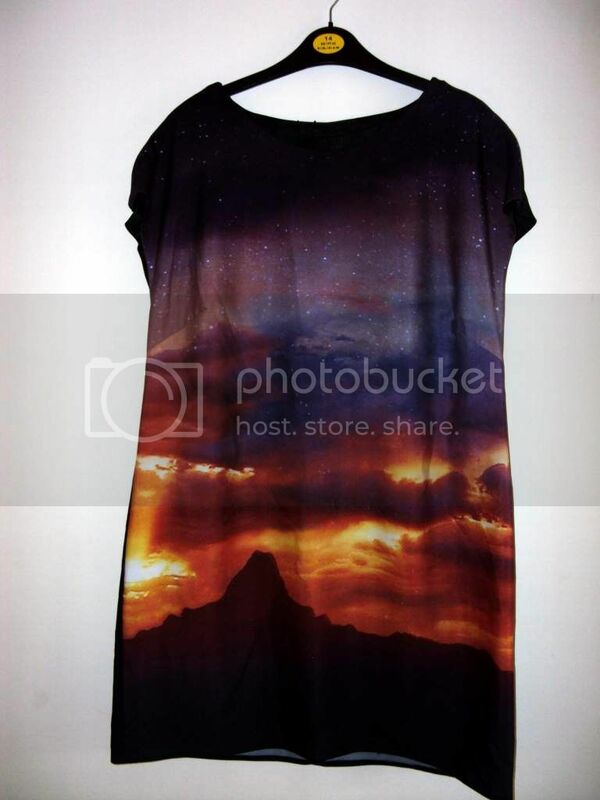 I adore this sunrise print, and prints are gonna be everywhere this winter! 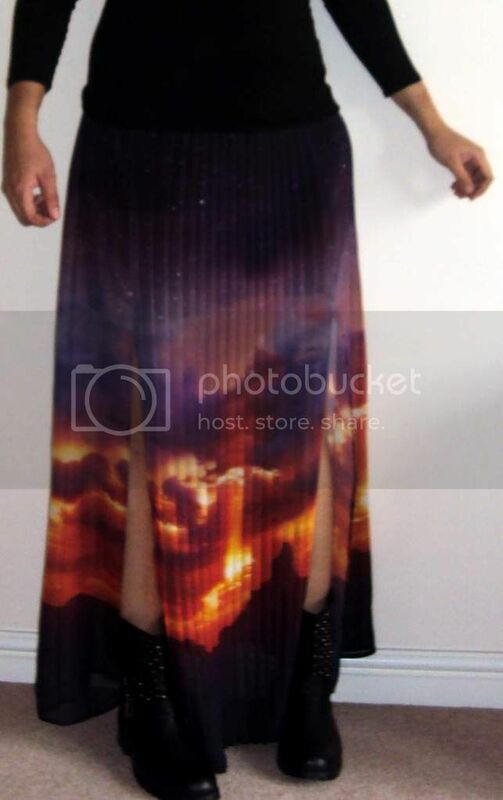 The maxi skirt is my fave purchase! Is pleated at the front, double lined at the top, and has got, as you can see from the pictures, two front splits. 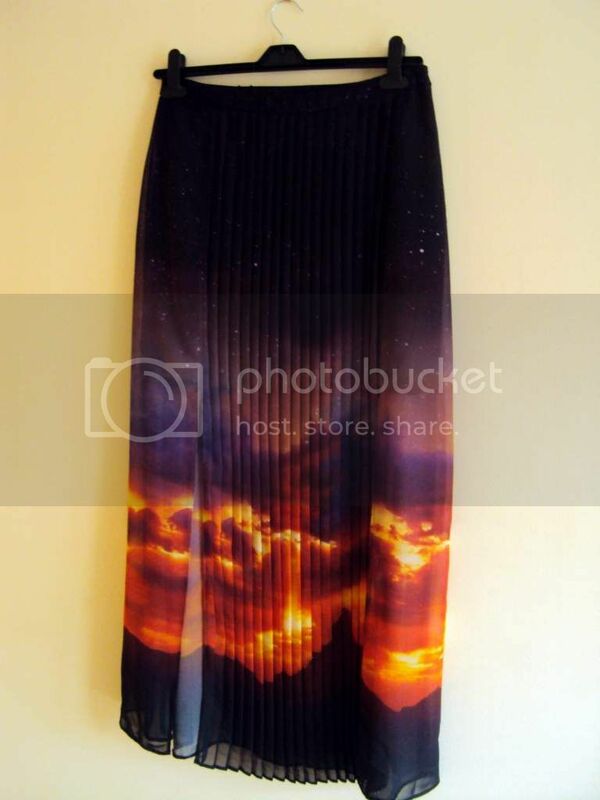 The print is similar to the one on the dress, kind of sunrise, with clouds, stars and I can tell you I really love the colours. I am gonna wear this with biker boots, or, why not, black patent heels for a special night. Have you already seen the collection? What do you like? PRIMARK HAUL...YES I KNOW, ANOTHER ONE!